this might be record blogging for me but i wanted to post the picture i stole from jessie from her trip to fl to visit me! ok not really- she was here at disney with her family but we worked in a visit at their hotel and it was lots of fun. 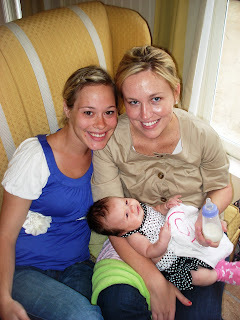 the other picture is a debut photo of jessie's niece abbie. even spelled the same! we are great friends. again, not really. she warmed up to me but does not recall meeting before and was thus really confused/annoyed with why there was all this hoopla about "2 abbies." 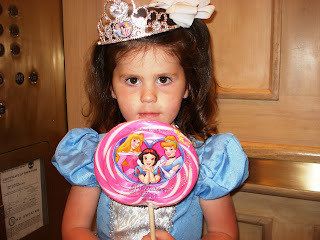 she was cute in her cinderella get up and jumbo lollipop. anyway, i loved seeing jess and catching up with her hilarious family. is it just me, or does she look like she's pointing at her bicep with her finger? she was loving the camera today...then she pretended like she fell asleep. i forgot to post these pictures a while ago, but they're pretty cute. this is olivia's cousin coleman, who can often be heard saying "you wanna hold her coleman?" whenever we're around. he does a good job supporting her head and saying something like, "oooooh, sweeeeeeet baaaaaaaaby o-livia." he is a good little cousin. so i'm pretty sure babies don't know their own reflection...? right...? 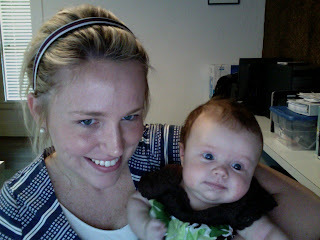 i was playing with photobooth the other day and she kept making these faces...raised eyebrows.. little smirk. it was like she didn't know who she was looking at on the computer screen. maybe..."who is that baby sitting on my mom's lap?" or perhaps..."wow i'm really getting chubby." today i am meeting adam after he gets off work to do some stuff and as i realize how badly i would like an icy cold soda from 7-11 (yes, even with their sweaty plastic cups), i quickly realize how maybe it'd be better to just wait till adam and i meet up so one of us can run in. i'm terrified that here in florida, if i were to leave olivia locked in the car, 1- she'd be kidnapped or 2- someone would run up and slap cuffs on me and hand me the bad mom of the year award. if i was in utah, mind you, i would absolutely be ignorant and lock her in the car to get my 44 ouncer. oh wait- i wouldn't have to. i could go to the many drive thru gas stations to pick up my fix. so are any of my winter park, fl readers interested in bringing a harts franchise to the sunshine state? :) right now my only options are sonic which is too far to justify unless i'm already headed that way or chick-fil-a, where each piece of ice is as big as a baseball which means 1 sip and the drink is g-o-n-e.
but-there are some benefits to having to go inside to get your drink. you can SEE that they actually push the right button on the fountain. since i am trying to lose this baby weight i am VERY concerned that the drive thru attendant understands that i want DIET dr. pepper. not 44 ounces of regular dr. pepper aka like 800 calories. adam has adjusted to this dilemma and now he thankfully (but somewhat embarrassingly) practically screams DIET!! !, then pauses, then says dr. pepper at each drive thru. we always get weird looks but desperate times (being a fat cow) call for desperate measures!!! ok this is quite long for being a blog about soda. we had a bathing suit fashion show on labor day....she has 2 other suits as well that are in this size range so we better hit the pools quick. she was all smiles when we were taking these pictures. 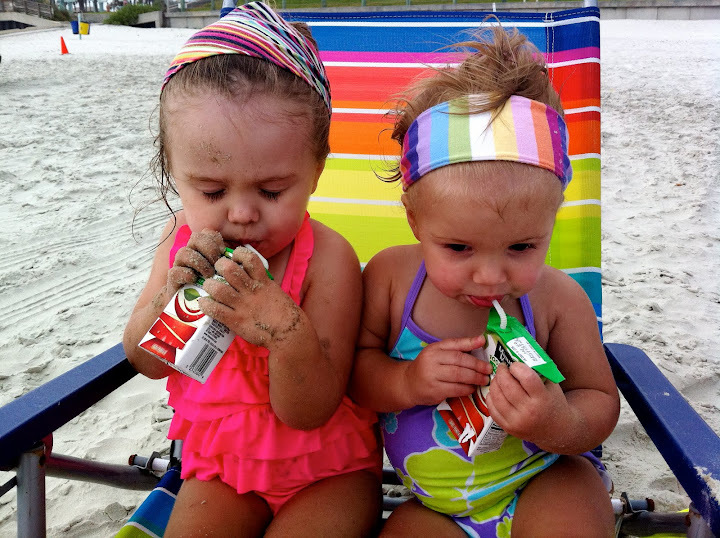 too bad we never made it to the pool that day!